Being well prepared for a motorcycle trip can turn a bad trip good and a good trip great. But learning all the tips and tricks to save time, stay organized and have the most fun on the road often takes years of trial and error to figure out. Luckily you don’t have to wait years to have these “aha moments.” Revolutionize the way you ride by checking out these 15 insider motorcycle touring tips from staffers at the American Motorcyclist Association. Take extra batteries for you fob and tire repair kit. Have a paper or first aid form, listing all mess you take, doctors names, and family contacts. Put the list somewhere easy to find in conspicuously placed in the bike. If you put your wallet or purse in the saddle bag, carry a card, I use an expired license, in a coat pocket with emergency contact information. This is the first place checked in an emergency. 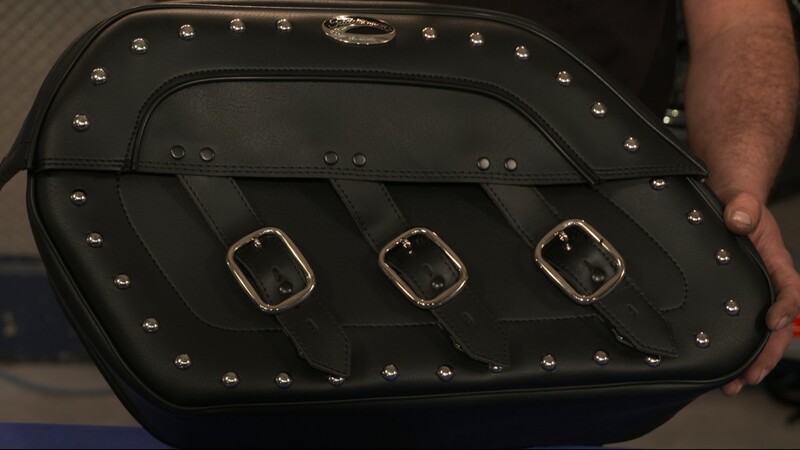 Saddle bags are only opened as a last resort. In uk we have the green dot on lower right of helmet signifies a card in lining of helmet with ICE info on it inc medical. On those older bikes, carry wire ties, wire, connectors, spark plugs, tubing, tape, and any other small parts for road side repairs. Nothing worse than a burned wire in the middle of nowhere. They were great little tips. “Carry a spare key” Does anyone know where I can get the magnetic key holder he is holding? Great idea to carry a spare key. Wouldn’t trust a magnetic key holder on a bike due to vibration issues. Also leaving a 2nd key &/ or fob with the bike makes it easier for thieves. The buddy system is something I abide by! magnets which are amazingly powerful for their size. That does not look like a magnet key holder to me, it look like the insides (the shaft) of the fork lock. 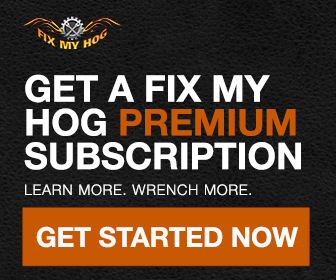 That is, after all, a picture from one of the “Fix My Hog” repair videos.